I hope your Christmas went well, and if you were in countries where severe damage was done by flooding or tornado's I wish you a better 2016. With the fast approaching new year I'm eager to get back to writing, but it won't be until next week when family members are back at work, or college, before I'll have enough quiet. Besides working on my 2nd draft, I've also promised Patsy Collins that I will submit a short story to a woman's magazine. I did write a story for a competition at the writers' club a few years ago, and intended to revise it to send off to Woman's Weekly- as it would fit their style, but as I've been concentrating on my longer works it never got done. So that will be on my agenda this year. So to my 2015 word count total: 28,795. There's probably another 2,000 words from various pieces that I've written for the writers' club quarterly magazine, which I didn't include in my total, and must do in 2016. I need to improve on that total in 2016, and get more work sent out. At least the word count continues to be going in the right direction-up. I need to get more organised and prioritise more. Well that's it, my last blog post for 2015. I'll be back to normal routine next week. Gosh, I've never even thought about my word count, Carol. I do write LOADS on Facebook, but I guess that doesn't count! Happy New Year to your and yours. Hey Carol, you busted your previous target. Well done. Glad to see you're going to have a go at subbing to the Womags. I started keeping a word count visible (on the blog) as a spur to not letting the writing slip, and it's really helped; I know when I can do more and when other commitments limit my writing time- the aim is to improve the word count then. As long as the word count keeps going up, I'm happy, Maria. Hope your plans for 2016 go well too. You can count the short story in your word count, so it'll do double duty! 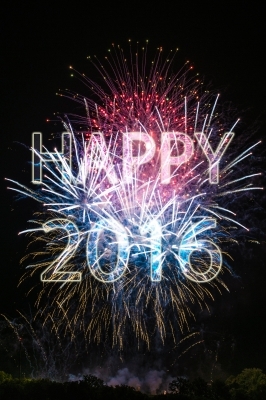 Happy New Year, Carol - wishing you great success in 2016!